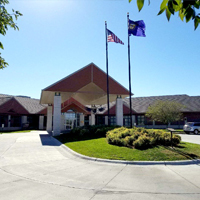 Nebraska's state veterans' homes offer top-of-the-line domiciliary, intermediate, and skilled nursing care for the men and women who have served our country, as well as eligible family members. 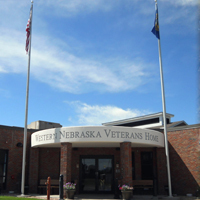 The four homes are located in Bellevue, Norfolk, Kearney, and Scottsbluff to provide care to veterans across the state. Click on the homes below to learn more about them. Physical therapy (PT) services are available to help improve a member’s quality of life through examination, diagnosis, prognosis, physical intervention, and patient education. Each facility may offer a variety of different types of PT equipment and modalities to help promote mobility and function. Occupational therapy (OT) services are available to help members continue to participate in meaningful activities and functions through assessment and interventions, which may include adaptive equipment recommendations. Speech Therapy services are available to help evaluate, diagnose, and treat communication disorders (speech and language disorders), cognitive-communication disorders, voice disorders, and swallowing disorders. Restorative Nursing Therapy services are provided at all facilities with the focus on nursing interventions that promote the member’s ability to adapt and adjust to living as independently and safely as possible. We actively focus on maintaining optimal physical, mental and psychosocial functioning. Hospice/Palliative Care for members facing the end of their life. Special care is provided to encourage comfort and preferences by an interdisciplinary team including medical professionals, social workers, clergy, hospice organizations, and trained volunteers. 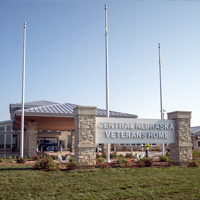 Being a part of the Nebraska Hospice – Veteran Partnership helps our facilities better provide end of life care to veterans and their families. 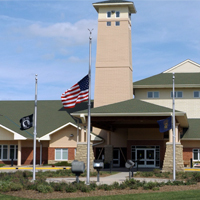 Memory Support Care Units are dedicated to providing a safe, structured, and supportive environment for members. Our primary goal is to help our members achieve the best possible quality of life. The dementia program is an interdisciplinary team approach which enables the member to be involved in their daily life to the highest potential in a communal setting. This program provides opportunities for successful individual and group involvement based on their cognitive level of dementia. The program is tailored to the needs of the member relating to meals, ADLs, grooming, exercise, spiritual, cognitive, gender-specific activities, social interactions, music, walks, 1:1 interventions, small group interaction and rest. The members’ prior lifestyles and occupations also influence the content of this program. 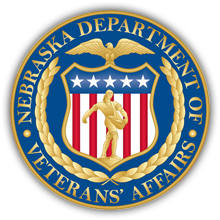 Veterans who served on active duty in the armed forces of the United States may be eligible for admission to one of the Nebraska veterans homes; eligibility may extend to the spouse, surviving spouse, and Gold Star parent. Apply to the home directly. Apply through the County Veterans Service Officer (CVSO) in the county where you currently reside. Find your CVSO here. Maintenance Charge is determined by a sliding scale depending on a person’s income and or assets. Your contribution to the cost of care at the Home could be from $0 to $4,097.00 per month. Our homes are filled with opportunities. 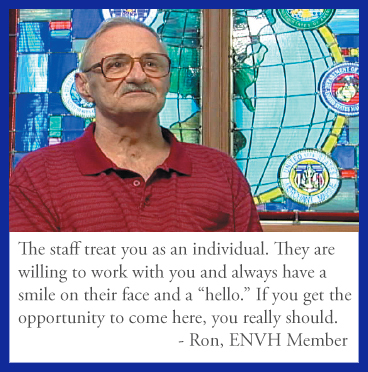 We employ CNAs, LPNs, RNs, social workers, activity coordinators, clerical staff, housekeepers, food service workers, and much more. We offer competitive wages and great state benefits. Apply to be a part of our team today! Click to view open positions.